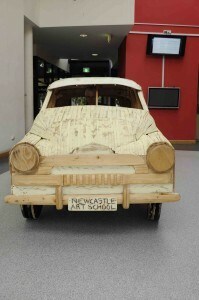 The teachers and support team at The Newcastle Art School (Hunter Street Campus), are driving forward into the new teaching year. The School will be offering its renowned diploma and certificate courses in Visual Arts as well as its popular workshop based short courses in studio ceramics, life painting and hand built sculpture. 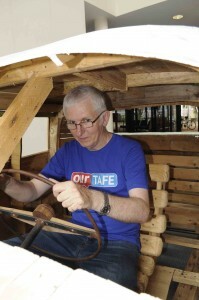 The more recently introduced Certificate IV in Museum Practices also has continuing strong interest. Screen and media offerings are also going strong with courses in Communication and Media, interactive digital media and the brand new 3D Animation and Digital Effects. The 2013 summer courses available in the week of January 14 include print making, Zombie Film, webpage design, SFX Makeup and Prosthetics and video editing. Library staff are busy ordering new resources and developing new libguides such as in Art and Screen and media. Hunter Street Library’s Stephen O’Brien test drives the replica FJ-Holden made by sculpture students. 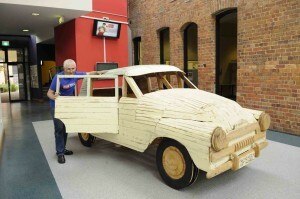 The FJ will be on display in the Hunter St foyer over the holiday break. The elves have been busy putting up this festive and colourful Christmas Display at Cessnock TAFE Library. Make someone’s day this Christmas – give them a book! Or a Kindle, or any other kind of eReader, or an iPad……There are many, many ways to enjoy reading during the holiday season! 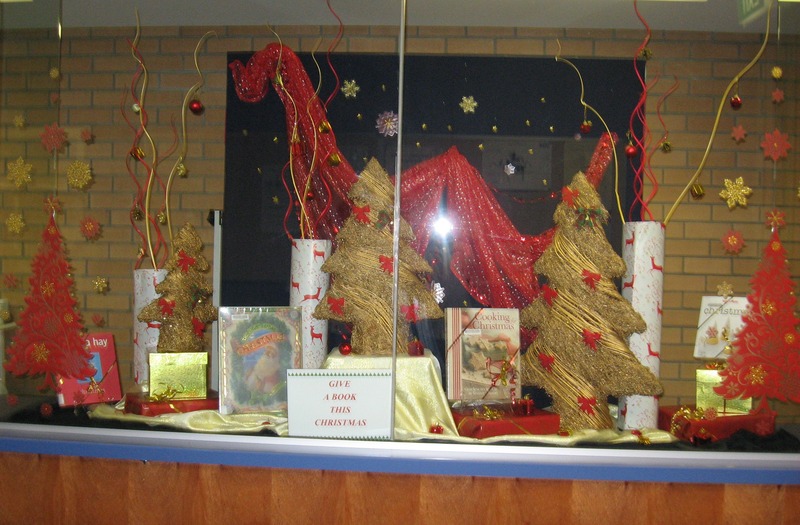 Cessnock Campus Library Display – Give a book this Christmas!